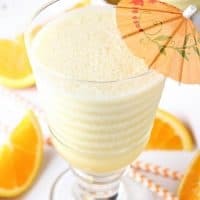 COPYCAT ORANGE JULIUS — This refreshing orange drink is so easy to make at home, with just a few simple ingredients. You’ll never have to go out for Orange Julius again! My youngest son loves (and I mean LOVES) Orange Julius. He’ll ask for one any time we come within five miles of an Orange Julius establishment. Thank goodness we’ve learned how to make Copycat Orange Julius at home! And according to my husband and kids, the homemade version is even better than the original. I actually remember my dad making this at home when I was a kid. In fact, I think I had homemade Orange Julius before I ever tried the purchased version. That memory is what got me thinking about making Orange Julius at home for my kids. I don’t know if this recipe is exactly like the one I had growing up, but it does taste very similar to the one we buy from our local Dairy Queen. 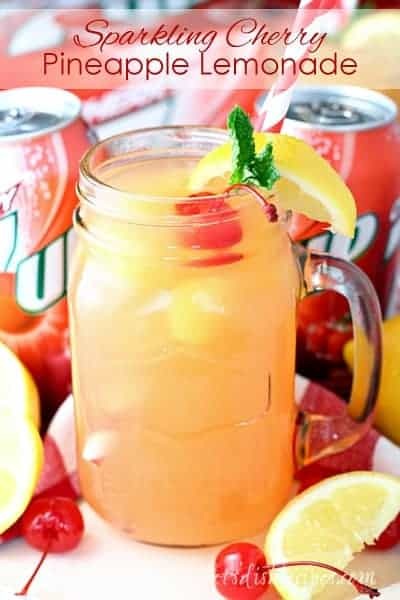 This frosty orange beverage is especially fun to make during the hot summer months, and chances are, you already have the ingredients on hand. I usually double the recipe for my family of five. If you’re blender doesn’t have a large capacity, that may require blending up two separate batches. Although I can’t say we’ve ever had too much Orange Julius. But it’s so easy to whip up this cold, creamy orange drink, I can make two batches in about five minutes! Best of all, my thirteen year-old thinks I’m the mom of the year! I like to keep a supply of orange juice concentrate in the freezer, just for making Orange Julius. The rest of the ingredients (milk, sugar, vanilla, ice and water) I always have on hand. 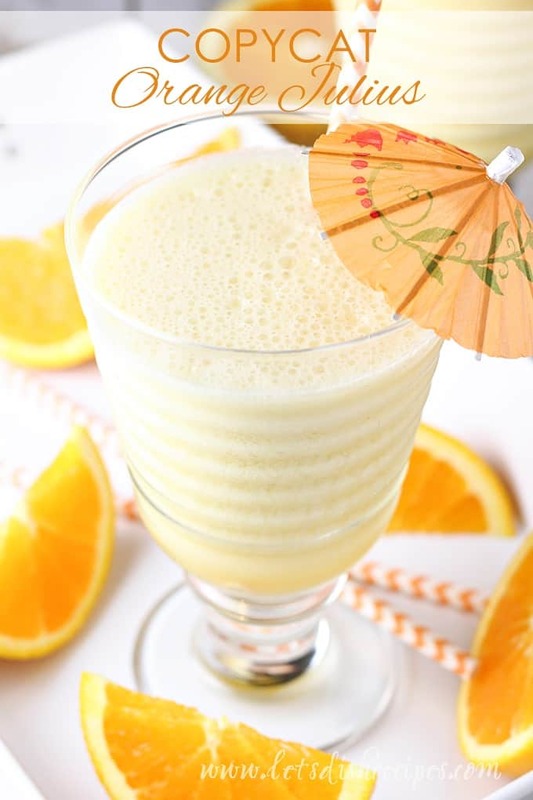 If you’ve never tried making Orange Julius at home, what are you waiting for. 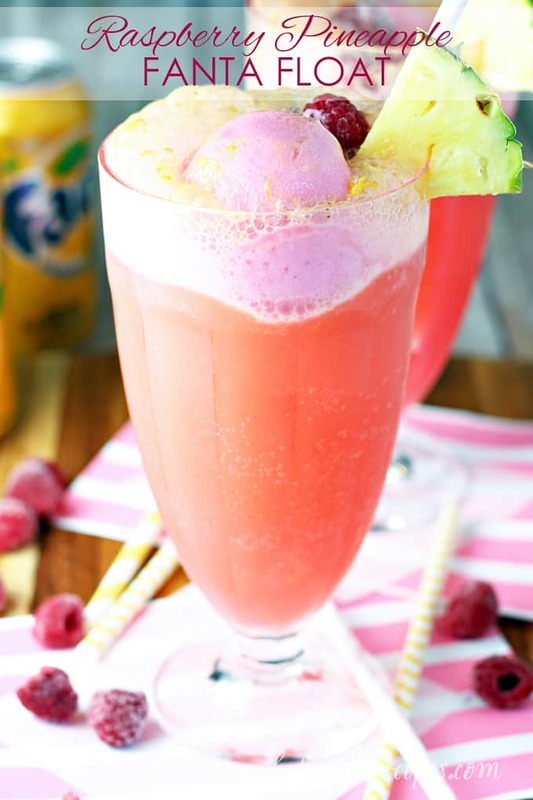 I hope you love making this refreshing summer drink as much as we do! 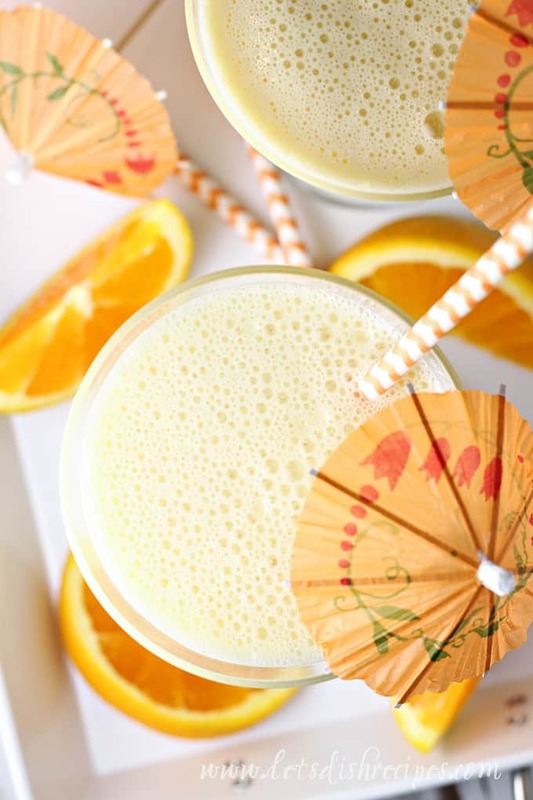 Be sure to save this Copycat Orange Julius recipe to your favorite Pinterest board for later. This refreshing orange drink is so easy to make at home, with just a few simple ingredients. You'll never have to go out for Orange Julius again! 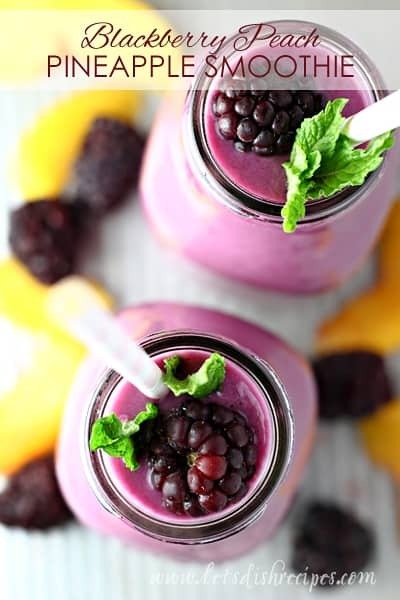 Combine all of the ingredients in a blender and pulse to break up the ice. Who Dished It Up First: Adapted from Mom on Timeout. I will have to try this with almond milk. Love the simplicity of the recipe! It really does look super authentic! Also, the umbrella is so adorable!! !